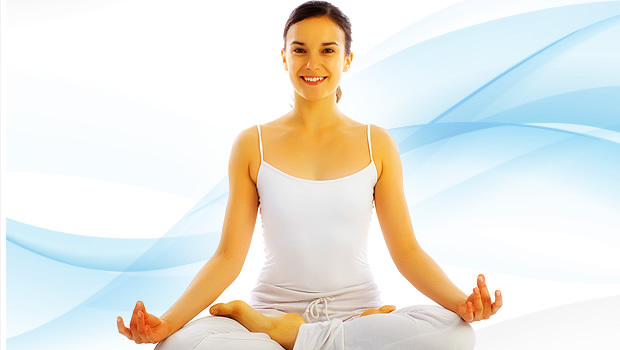 The Auto Calm System | Discover the Auto Calm System. It's time to relax smarter. 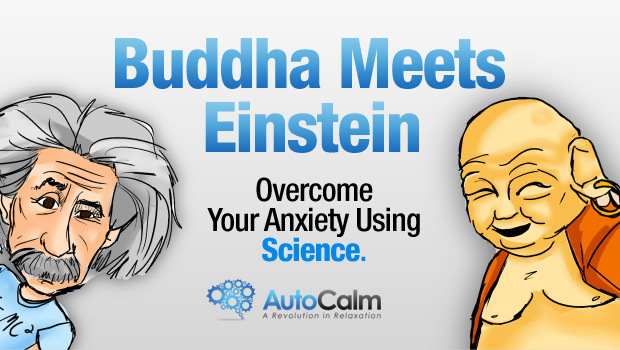 Discover The Auto Calm System, an Advanced Training System Developed to Help you Overcome Your Stress and Anxiety Starting With Only Six Minutes a Day. 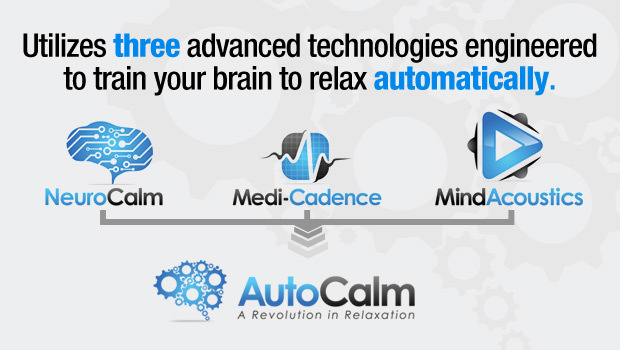 The Auto Calm System is an easy, convenient, and affordable training system designed to revolutionize relaxation by incorporating cutting edge science and technology with traditional stress and anxiety management practices. 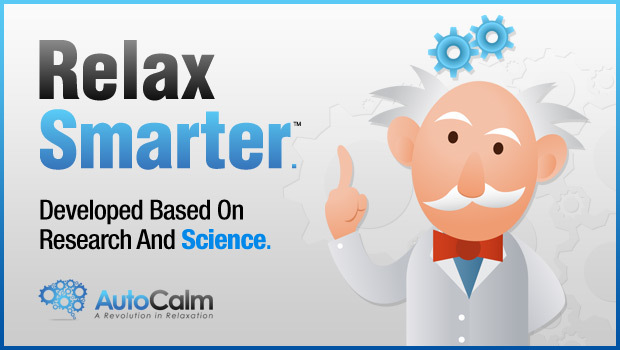 It’s time to relax smarter. The Auto Calm System is a groundbreaking training system developed with a team of professionals that harnesses the power of what independent research has shown can help you finally RELAX and quiet your anxious mind. You can use your Auto Calm System training virtually whenever you need it…at work, during your commute, on an airplane, while shopping with the kids – ANYWHERE your busy life takes you! Based on published scientific findings and cutting edge research in neuropsychology and human performance, our Neuro-Calm™ acoustics development process draws upon methods that research has shown can significantly decrease anxiety and stress, and that’s just ONE of our three advanced technologies utilized in The Auto Calm System. Isn’t it time you experienced the benefits a true revolution in relaxation can have on your life? In as little as SIX MINUTES a day, you can begin experiencing the radical difference the technology contained in The Auto Calm System can make in your ability to quickly and easily calm your body, relax and refocus your mind, and get back to your life with peace, comfort and confidence. You won’t need to put your life on hold to relax and free yourself from anxiety. 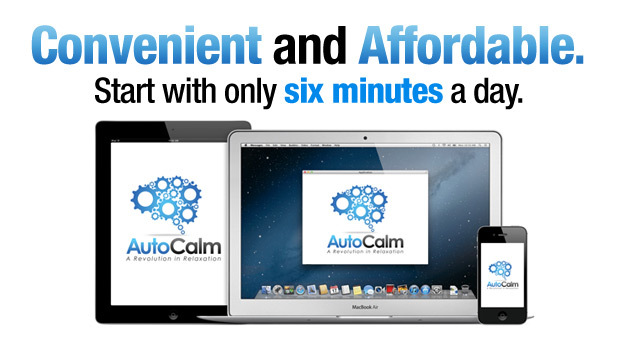 The Auto Calm System was designed for your REAL LIFE. The Auto Calm System is a comprehensive eight week training system that was engineered to help you learn to rapidly relax and let go of excessive stress anxiety so you can get back to what’s important to you in your life. It’s fully compatible with virtually any computer or mp3 player, so you can use it anywhere. Get started with just six minutes a day, work at your own pace on your schedule, and your order is completely guaranteed.